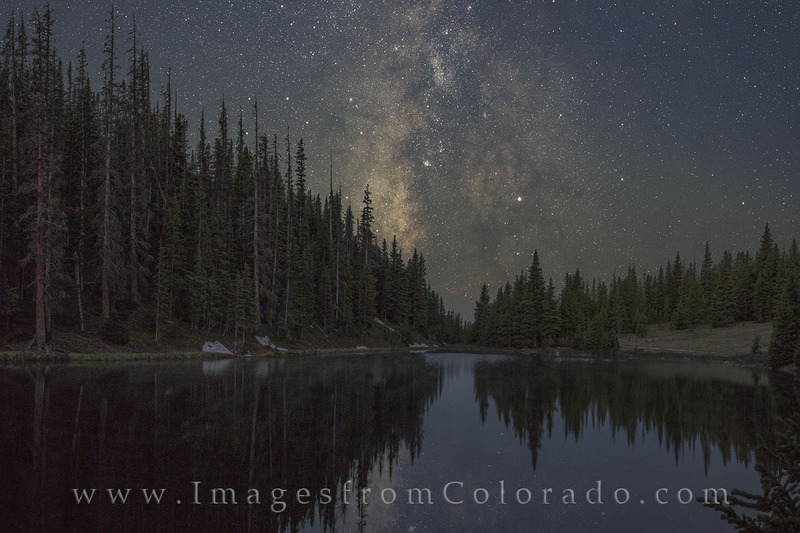 Located in Rocky Mountain National Park, Lake Irene is a small, high mountain lake sitting at about 10,000 feet in altitude. In early summer - around 3:30am, the Milky Way rises over this area. Here, the beautiful night sky even showed in the reflections of the calm water. Photo © copyright by Rob Greebon.